Tips on removing the old water heater fast and easy. Step by step guide how to remove your old tank-type gas water heater. 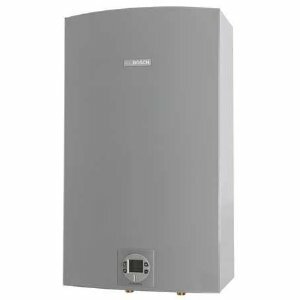 Removing the old water heater is an easy DIY home project, as long as you have the right tools, have basic knowledge about the gas, electrical and plumbing work, and of course help. The time required to remove the old heater is approximately 2-4 hours, depending on your skills and the tank size, as it takes longer just to drain the water. Make sure to turn the gas supply OFF to the unit. Turn the main valve OFF of the water supply to the unit, or if it is necessary, turn the main valve to the entire house OFF. Turn OFF the electricity on the unit on the breaker panel. 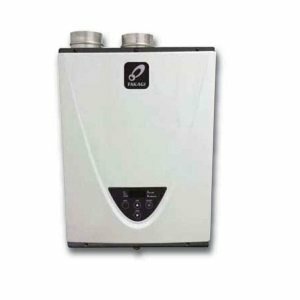 One of the critical steps when removing the old water heater is to make sure that the gas supply is OFF and once checked disconnect the unit from the gas control valve found at the bottom of the unit. Next step is to drain the water heater. Open a nearby hot tap and leave it open to allow draining. Be aware that there is a burn hazard for temperatures above 120 F. Make sure the outgoing hot water is 100 F or less before draining. Once the temperature is safe, connect a hose to the drain valve at the bottom of the heater and put another end outside, if feasible, or to an adequate drain. Open the drain valve and wait for a few hours. For larger tank sizes it takes longer. Once the gas is closed and water is drained out, next on the list, is to disconnect the vent pipe from the draft hood, found at the top of the unit. Simply remove the screws and lift the vent pipe up to disconnect it. For the power vent models remove the clamp. Once all the water is removed, unplug the heater from the home plumbing. If your gas heater is connected to the plumbing with the galvanized pipes, remove the unions using the pipe wrench. If copper pipes are used, use the hacksaw and cut approximately 4-8 inches before the connection. Use the stubs as handles to remove the old unit. 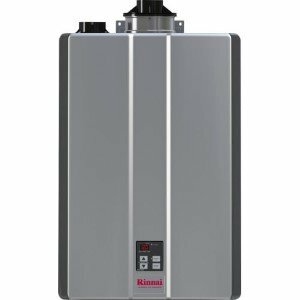 Keep in mind that sometimes it is hard to remove the old water heater as it is heavy due to the mineral buildup and deposits collected over the years of working. Once disconnected from gas, plumbing, and electric wires, get some help and a dolly for handling.